cjsommer.com - Automate all the things! Happy Veterans Day to my SQL Brothers and Sisters! Women in Technology - All are welcome! 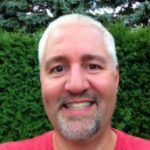 SQL Saturday 723, March 24, 2018 in Rochester, NY. Join us and kick your SQL Server knowledge up a notch! T-SQL Tuesday 94 - Do you wanna get PoSh?